America has a tradition of Monday nights being all about NFL football, but developer Uber Entertainment wants to change all that - they want Mondays to be about combat. 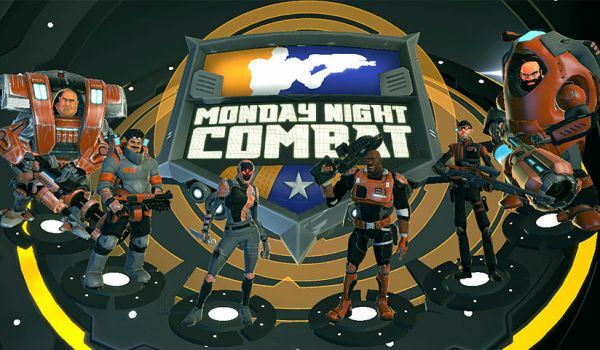 Monday Night Combat is a team based shooter that's a careful blend of gameshow, sport, finishing moves and class based combat in a fine package delivered every Monday. Sure you can play the game anyday of the week, but for the true authentic experience you'll want to keep those Monday evenings free. There's a variety of game modes available, but the one you'll be most interested in is called Blitz. Blitz allow players to defend their Money Ball against armies of robots by themselves or with up to three of their closest friends over Xbox Live. Sounds a bit like a co-op survival mode to me. There's six available classes, each with their own unique strengths and weaknesses, and all look to be inspired by Valve's Team Fortress 2 in terms of style. Not necessarily a bad thing. There's no release date or pricing yet, and so far only an Xbox Live Arcade version has been announced. We've got the first trailer while you wait for more info.